If you were to ask a Florence native about Boot Hill they might respond with a puzzled look. Boot Hill has never really been anything more than desert property behind Florence High School. However thanks to the hard work of Transportation Director, Mark Lamas and Facilities and Grounds Supervisor, Clay Cordova, under the direction of Assistant Superintendent Chris Knutsen, Boot Hill will soon be an asset to the sports teams of Florence High School. Currently, this crew is clearing and flattening Boot Hill to create practice fields that will be the envy of all other schools in Pinal County. This hard work is being done by member of the District Staff will keep the costs of renovation extremely low and will service all of the outdoor sports FHS has to offer. Are you looking for photos from events around FUSD? Click Here for our photo gallery! There are pictures from Florence High School Senior Night and a lot of other events from around the district. For more information you can contact info@fusdaz.org. Copper Basin K-8 has qualified to apply for the National Title 1 Distinguished Award. For this national award, only 58 schools from Arizona were asked to participate. Great job Copper Basis Staff and Administrators! Dr. Fuller, Superintendent of Florence Unified, will be hosting a monthly show called the Superintendent's Corner. This is the first installment. On August 27, more than 2,000 members of the Florence and San Tan Valley Communities came to Poston Butte High School to experience the IMPACT FUSD has on the community. We were able to showcase our schools and their use of technology. These are just two of the great things that separate Florence Unified from the rest of the schools in Pinal County. To see the rest of the pictures click here! Photographed above is Dr. Amy Fuller with Pinal County Attorney Lando Voyles and member of the "Not My Kid" Coalition. County Attorney Voyles is presenting Dr. Fuller with a check for $5,240.20 to pay for the "Not My Kid" Program. This donation was given through RICO Funds and will go to support this program that gives the kids of FUSD and their parents resources on how to live drug free lives. 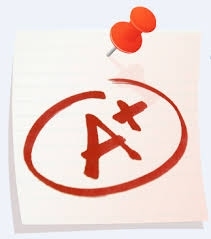 Circle Cross Ranch K-8, Copper Basin K-8 and Florence High School all earned a letter grade of "A" from the Arizona Department of Education. Great Job Guys! We are extremely proud of all of our letter grades and more information can be found on the ADE Website. Pass to All FUSD Athletic Events for the Year! On July 30th Heather Feniello received a free pass to all FUSD Athletics for the entire 2014-2015 school year. She won the pass by entering a contest on the FUSD Facebook Page. Check the FUSD Facebook Page and Like Us for your chance to enter contests like this one. From July 7th through the 9th close to 100 teachers came together for New Teacher Induction. The three day training was filled with keynote speakers, introductions to FUSD's technology, and lots of positive energy. It is important for our district to welcome all of our new teachers and give them the support they need to be successful. The training took place at the Florence District Office and FUSD would like to personally welcome all new teachers to the #1 Technology District in the state of Arizona.